While The Legend of Zelda: Ocarina of Time 3DS was able to rise to second place on the UK video game sales charts, it was unable to come in at number one. The game that beat it? Zumba. 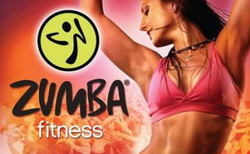 Ocarina 3DS was unable to top Zumba Fitness, which has held the top spot in the UK for the last four weeks (it also held the top spot six weeks ago). People must love their fitness games. Though it is interesting to see how popular this one has become when there are already so many other fitness games saturating the market. As for Ocarina, around 20% of UK 3DS owners picked up a copy of the game this week. However, these charts mark the end of the week as June 18th, meaning these rankings for Ocarina are only based on a few days, rather than a whole week. In the coming weeks, we’ll see if Nintendo can maintain this rank, or even move up in the charts.